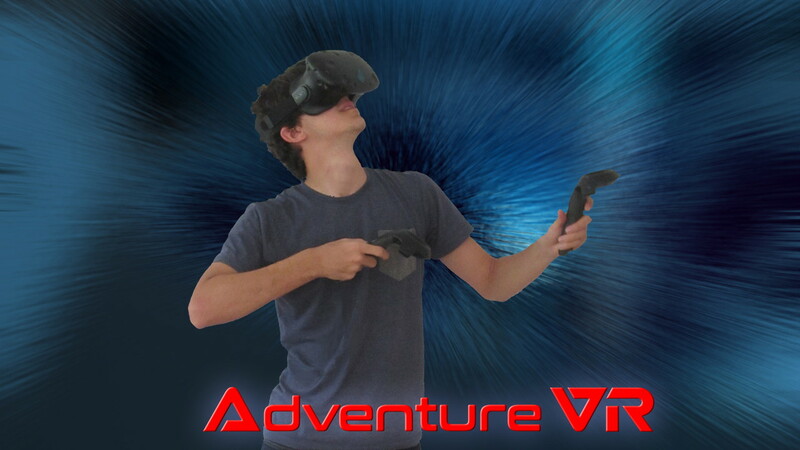 Immersed in an alternate 3D reality, your mission is to save the world! Assemble your team and come have fun! 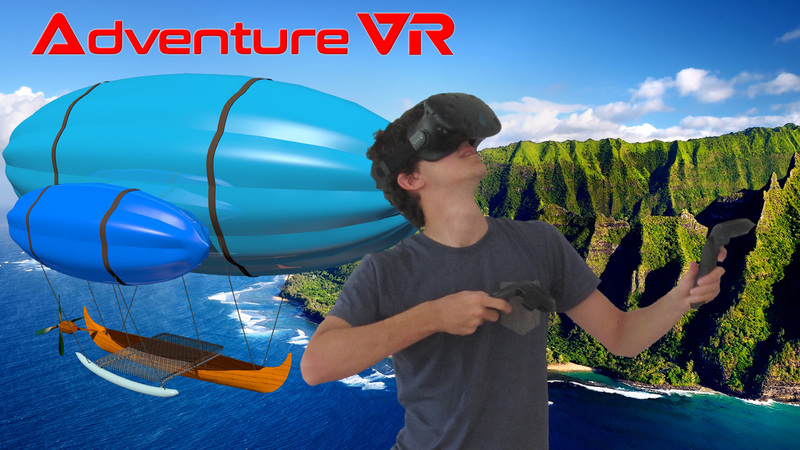 Adventure VR is the first Virtual Reality Adventure in Hawaii. 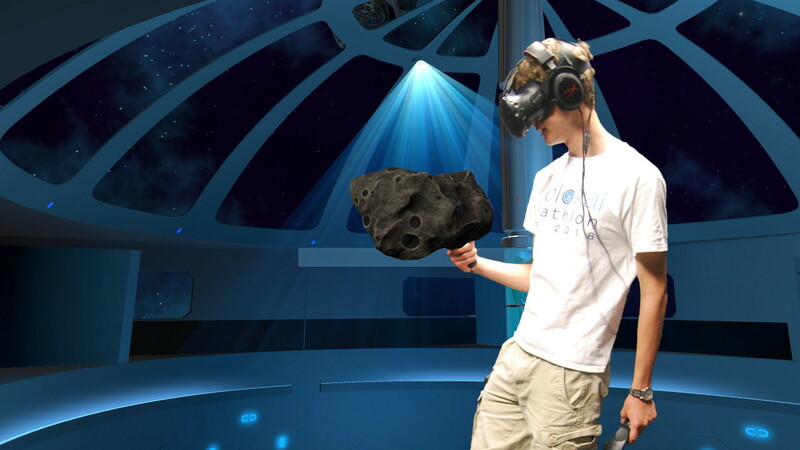 You will be immersed in virtual worlds for one hour, using the latest technology in VR. You will live, feel and experience adventures in 3D worlds. With your team, your mission will be to complete missions in these worlds. A fun, safe and memorable interactive experience for all. 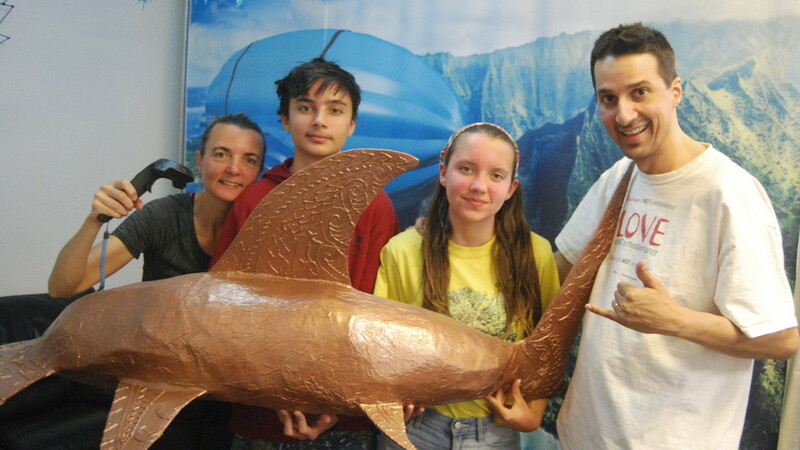 Our virtual worlds are 100% developed in our studio in Hawaii. Five stars experience. Totally recommend to both adults and kids. - Aleksandra J. 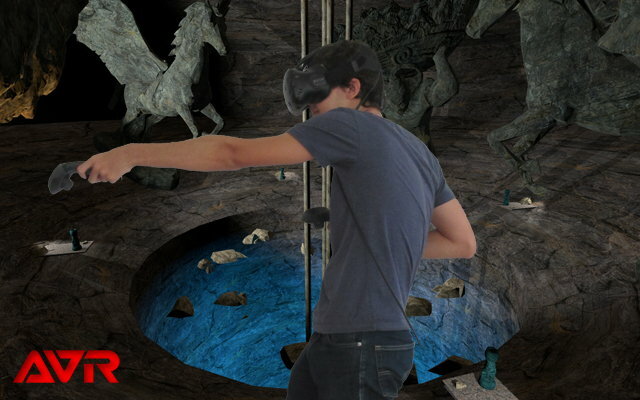 This is not a video game, it feels more like an escape room in virtual worlds. 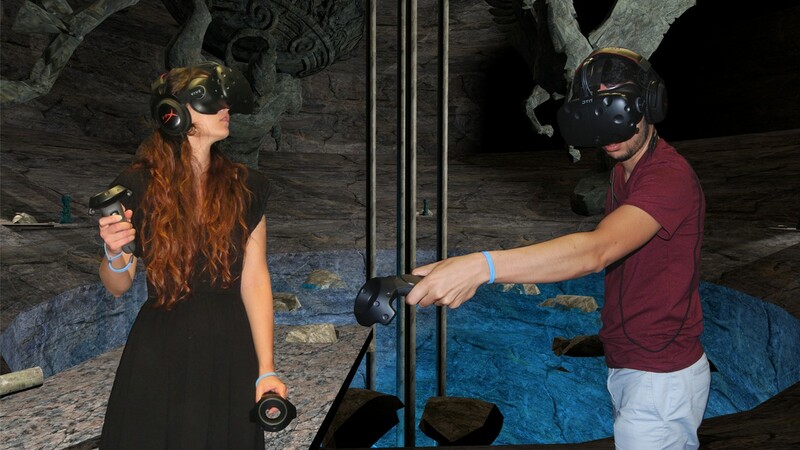 - Bob H.
Using cutting-edge Virtual Reality technology, you and your team will dive into 3D virtual worlds. You will not be a spectator, but an actor. With your remotes, you will interact with objects in each world, trying to find the clues to solve problems in a space station, in a world infused with magic or in a steampunk world. 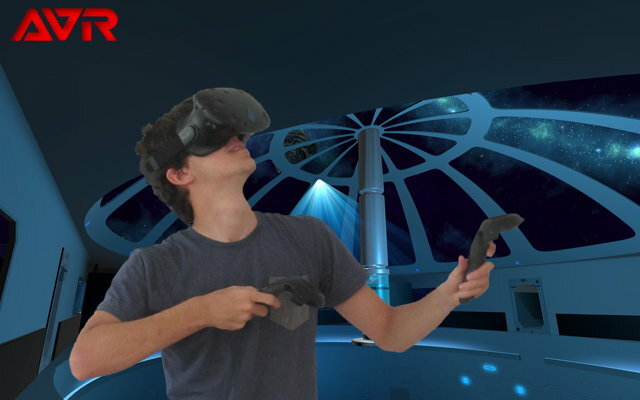 The concept is similar to an escape room, but VR allows to experience impossible places like a space-station or a steampunk world. The game is played as a team of 1 to 4 adventurers, a team of 4 is optimal. You need to book in advance (there's a limited number of places.) 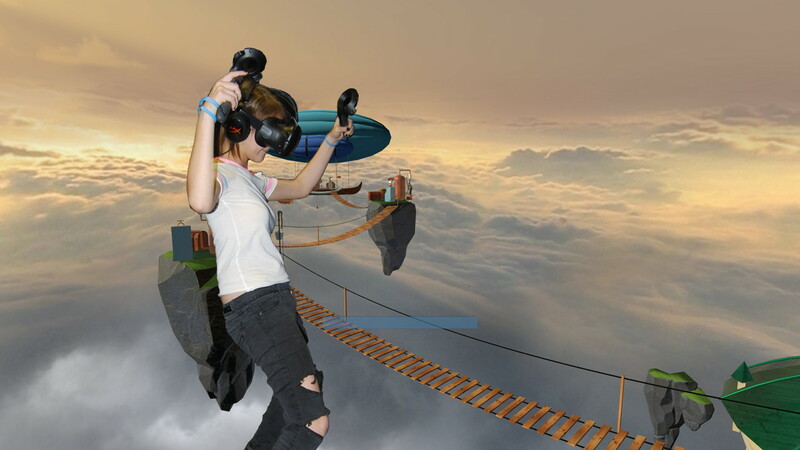 Equipped with a headset and hand controllers, you will spend one hour with your friends in three alternate worlds. You will need to communicate with your team and share your discoveries. Some tasks are independent, others need the cooperation of all the members of the team. 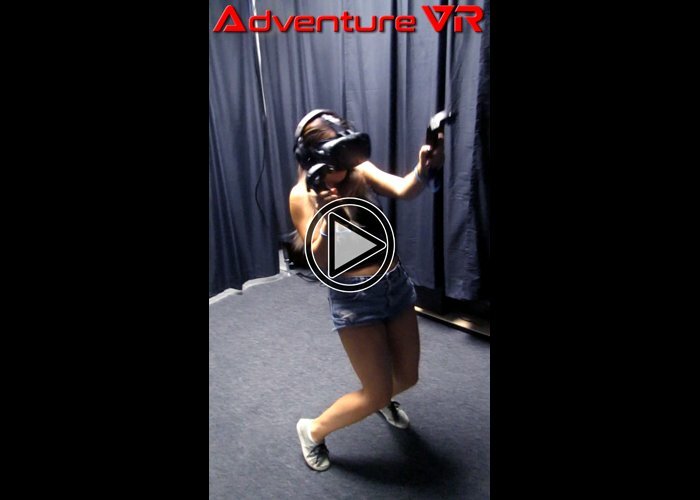 The game is designed to have fun and experience VR in a safe environment. Up to eight players can play at the same time. Groups of friends of all ages (8 to 80), families, date nights, birthday parties for kids or adults, bachelor(ette) parties, and companies who want a fun and enjoyable team-bonding experience in a lighthearted atmosphere. The game doesn't require to speak english. 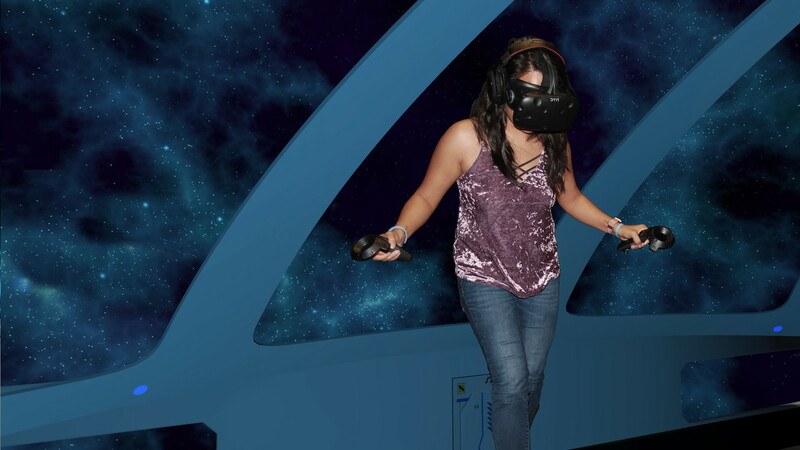 Experience zero gravity on a far-away space station. The freedom of a friendly alien depends on you. In a giant tower imbued with magic, throw crystals, magic circles, fire spells, climb to the top and save a crystal fairy. High above the clouds, in a steampunk world of floating islands and steam-powered blimps, your mission, if you accept it, is to untangle time. Will you find the clues to save each world? 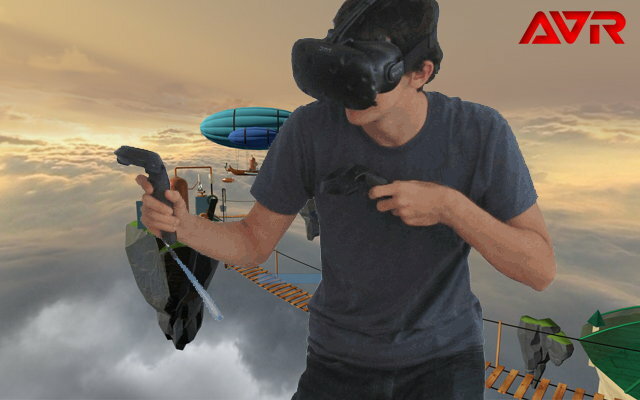 Adventure VR's visuals are spectacular, each one a masterpiece of creativity and art, and with 3D effects so real you'll duck when objects fly at you. It's waaay better than a movie. 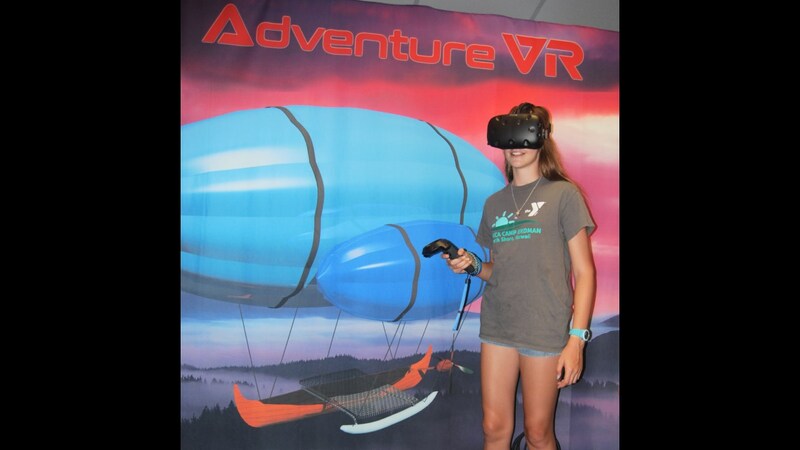 Adventure VR is the newest, most ambitious attempt here in Hawai'i to capture the futuristic tech of virtual reality. 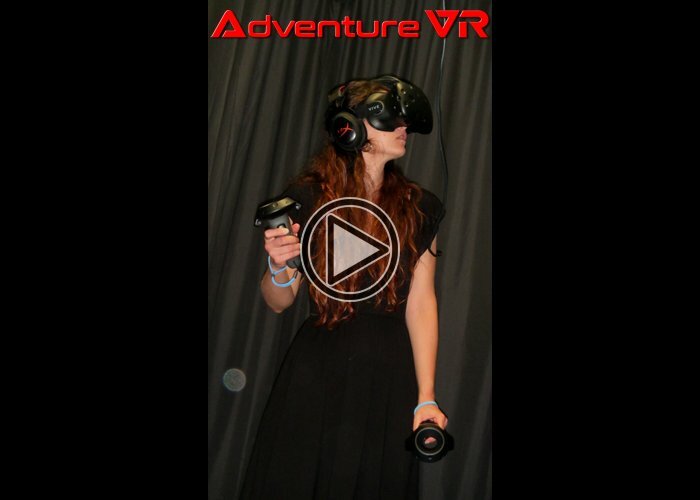 Adventure VR hits all the right notes and is a worthy afternoon's delight. The next generation of escape-rooms! After one minute in the game I was hooked. These worlds felt so incredibly real! 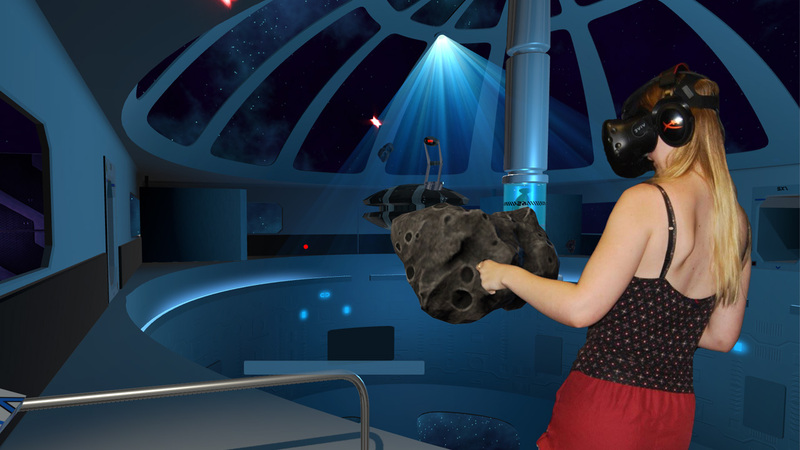 I felt totally immersed in the other worlds and forgot about the headset on my head. It felt so real that at one point in a tower I was actually scared of falling off! The puzzles are lots of fun and some of them are cooperative. We all had a blast. It was one of the greatest experiences I had with a video game. You're put into this different world that challenges your ability to solve puzzles and work as a team. This place is amazing. This place is AMAZING!!! 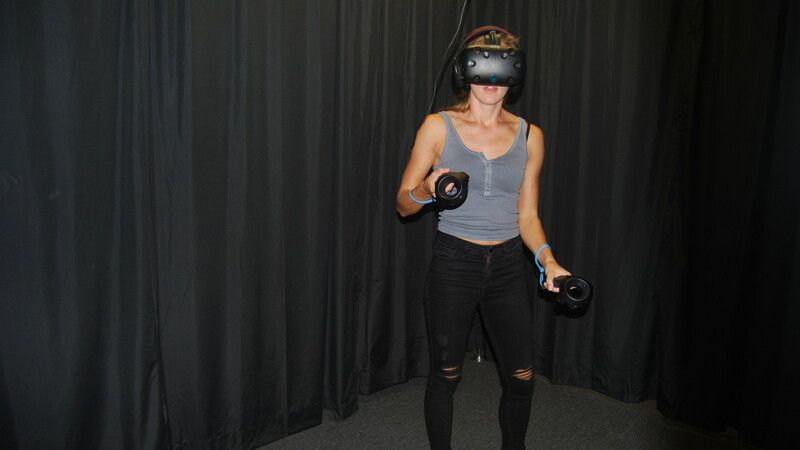 My first real VR experience, and it was everything I was hoping it would be. The graphics are amazing, and I felt totally immersed within the world. 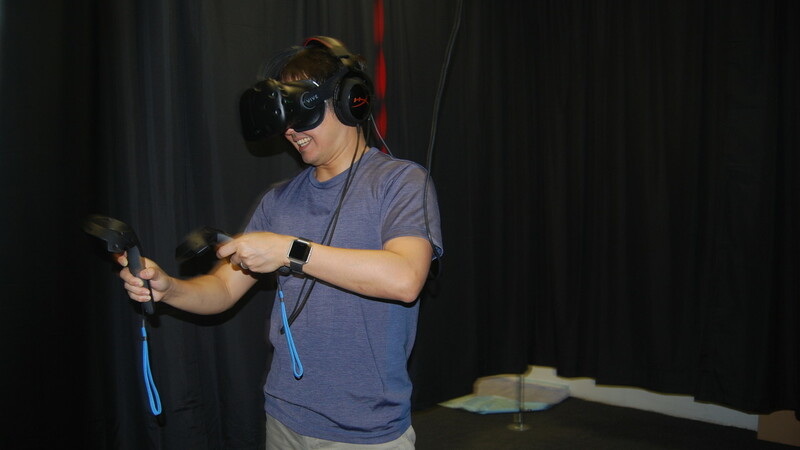 The gravity/weight of the objects you hold in the VR world are so real; I was thoroughly impressed. 10/10 would come back again. Our team is composed of computer graphics veterans. We have more than 30 years of experience in 3D. 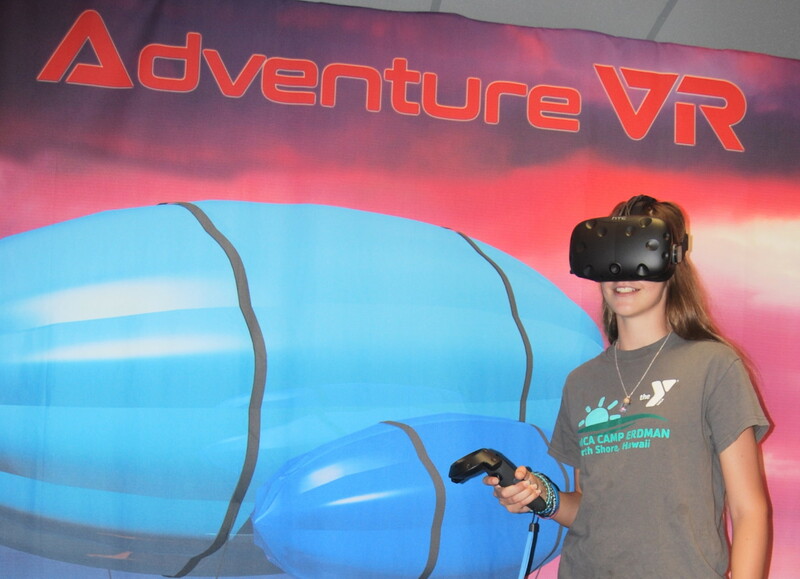 Adventure VR is the result of our love for 3D and VR. Our sister company, Syflex, was established in Hawaii in 2002, specializing in 3D and more specifically cloth simulation software. Syflex has been used in numerous blockbuster movies, from Lord of the Rings to Harry Potter. We are currently crafting the next exciting virtual adventure. Contact us if you are interested in offering our adventures in your escape room.